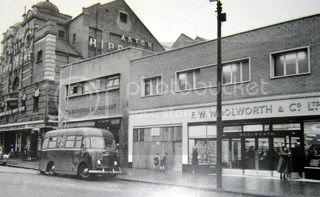 The Elbow Room next to the Hiipodrome,was a great club. I always considered it ‘posher’ than the others. although once inside the club, it was not noticable! and you could even get ‘food’! their hamburgers being real good. This is also were the great band Traffic came together. it was there that the idea for Traffic was formed. Steve Winwood agreed to join the partnership along with Chris Wood. Great club and one that is still going strong. Our aim is to build a complete list of gigs at the Elbow Room. Here’s a start but we need your help! Went to The Elbow Room on one occasion in 1987. It was a charity night organised by, or attended by some of Brum’s greatest rock stars. We sat on some plush leather chairs drinking and chatting with the likes of Tony Iommi, Bev Bevan, Roy wood, Trevor Burton, Roger Hill etc. The problem was we had had our ‘jabs’ to go to The Gambia that day so by the evening time we were feeling terrible, with paralysed arms to-boot. We didn’t stay very long. Pisser! I was a regular, twice weekly, ‘performer’ at the Elbow Room in 1967, doing Hytesenemic Light-shows for Judy Driscoll and the Brian Auger Trinity. 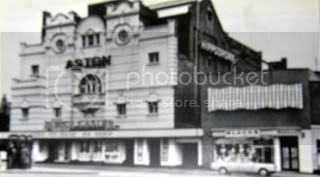 Eventually, after the novelty had worn off, the management decided that the space used by ‘LX84 Light-shows’ would be better utilised by paying customers and my services were dispensed with. But it was fun and, at the time, cutting-edge in performance art. Please see Elbow Reunion Facebook page for event on 22/07/18. 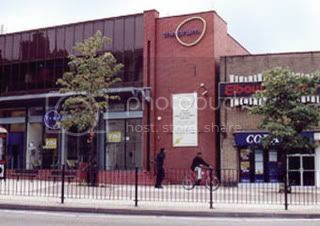 The Elbow Room was my regular club between 1968 and 1972. I got to know DJ Nicky Steele (RIP) quite well together with Erskine T. Great times. I remember Erskine T. Spent a lot of time at The Elbow Room. Had to leave one night the cigarette smoke was so dense my eyes were streaming, pretty hideous, but didn’t keep me away for long. I thought the management was John Parsons John Sable and Tony Sofiano no ? John Morgan, the criminal solicitor, was involved originally. He was the “face” many famous faces in those days, along with there sport cars! I was a regular in the 70s (disco). Anyone else remember the good times? Remember them very well Jeanette – Some lads from Stratford on Avon – Now live nr Detroit in the USA. What a night!! The testimonial was for one of the sweetest men you could ever hope to meet. Dear Don Carless bless his soul. Yes he was one of the founder owners the Club styled with a Spanish feel as he had connections with Mijas in Southern Spain.Don was badly burnt his hands suffered terribly ,the turn out was fantastic to support this man. The music was fabulous with Steve Windwood ,Jimmy Capaldi & Birminghams favourite daughter Ruby Turner. Happy memories. Dont forget another of Dons & Fernandos earlier ventures, The El Sombrero coffee bar on the Horsefair..I remember an American service man being a regular visitor, up went the boot lid on his car & there for sale cartons of American ciggies rye whiskey etc. The were happy days. I have many happy memories of the Elbow Room from the 60’s. I think Don Carless & Tony Carr managed or owned it. My brother known as “Mickey Twitch” was the DJ and he used to take me there. His good friend was Steve Winwood and I spent times meeting people who are now great names. 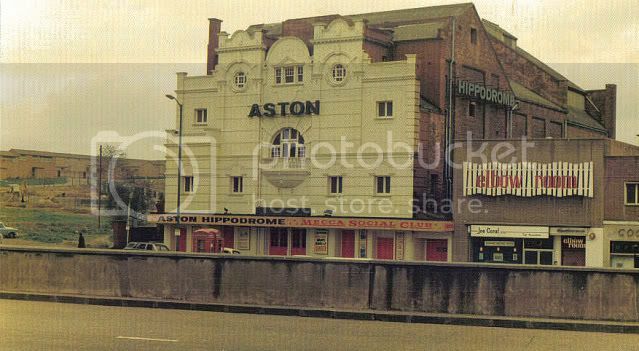 The atmosphere was always alive and i was introduced to “clubland” at about 15, courtesy of my brother. Michael (Mickey Twitch) introduced me to the woman who was to be my sister-in-law, Cindi Peyton, A love affair which ended tragically. There were also loads of coffee shops along Snow Hill. Surfside Stop and many with California themes. 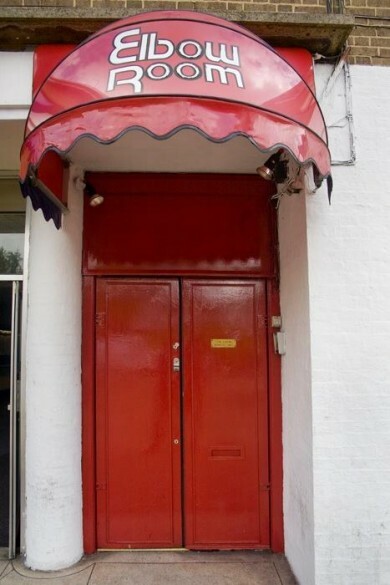 Who cannot remember Alex’s pie stand? Originally all the Mod’s and Rocker’s met there for a laugh. God knows what was in the pies but they were wonderful after a night of Barley Wine or whatever we could afford. There were drugs around but things like purple hearts, cannabis, and nearly everyone enjoyed “a smoke” but few seemed to experiment with hard drugs, although I did see two people overdose at the Whiskey A Go Go Al Nighter – one of those young girls died – she was was one of 5 sisters and aged 17. There were two girls who came up from (I think) Southampton every weekend, they wore the most wonderful makeup and danced the whole night – everyone loved to watch them. We’re working on a major Chris Wood retrospective – all the background etc at the web-link below. Obviously, the Elbow Room plays its part in Chris’s story… but, unfortunately, pictures are nigh on impossible to find (other than the ones that are regularly posted). IF anyone has a decent pic of the ER and would like to get in touch… we’d be very grateful. Please see Elbow Reunion Facebook page for event on 22/07/18 and contact the organiser. Hi Betty, We probably bumped into each other there. Ian Sharp – …[email protected]…Now live in the USA in Michigan, but still visit Mom in Startford on Avon….Used to go the Opposite Lock and Rum Runner….Those were great years…. I was just reading this, brought back many memories of people I knew or have heard about, Don Carless was a good friend of mine, in the 70’s and 80’s, I first met him in Goa 1974, with my uncle Alan Ferguson, who I was told was a good friend of Micky twitch,(I lived at Dons house in Harbourne opposite the village green and also his house on Bull street)), 70’s 80’s. I had heard of what happened to mickey twitch, not only by my uncle Alan ferguson, but also from Cindy Peyton, who was my partner in the late 70’s early 80’s we lived together in Goa also in Birmingham for a little while. Sadly Cindy committed suicide a few years ago April 2010, Alan is also dead now he dead lamma island Hongkong in 2013. Hi Liz. I was friends w Cyndi Jones from the mid 80s until she moved to Hawaii. She always spoke fondly of your brother and those days between England and katmandu. I miss that gal. In 1968 Bachdenkel had a gig in the Elbow Room, after the band had set up and before their first set the club’s manager told them there was a band at the bar who would like to have a jam if they could use Bachdenkel’s gear. They were told in no uncertain terms that they could f*ck off. Turned out the band was about to become The New Yardbirds and the after a name change rather loud and famous.